On 12th March, TCC held a Careers Exhibition for all students. We would like to thank the many organisations and companies that supported us on the day including: Cornwall Fire Service, Babcock, BT with alumni James Franklin, Resilience Communications, BluescreenIT, Gill Akasters Solicitors with alumni Laura Lofting, Sainsbury’s, Princess Yachts, Becton Dickinson, University of Plymouth, Marjons, GHQ Training, PGL Training and Apprenticeships, Ministry of Defence Apprenticeships. 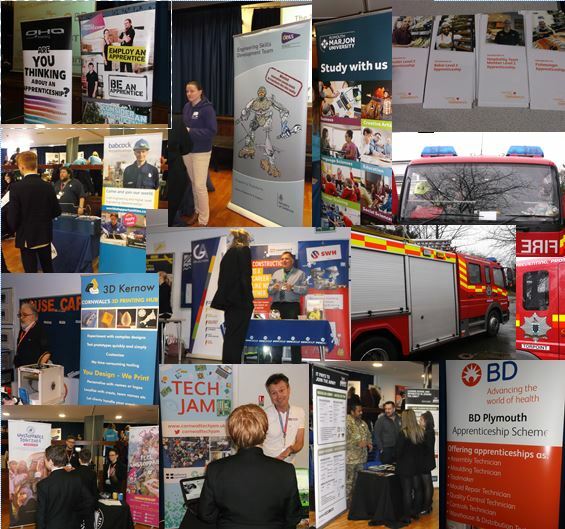 Kernow 3D Printing, Kernow Software, CITB representing the Construction sector, the National Citizen Service, the Army and Royal Navy. The event generated lots of excitement and discussion from students on building their futures and choosing their next steps.